Unless you’ve been living under a rock, you know about the solar eclipse that happened Monday. As a science and space geek, I was personally excited. Anything that gets people “looking up,” as Neil DeGrasse Tyson is wont to say, I’m down with. As a PR person, it was a reminder of how a single, seemingly one-note event can spur a vast universe of media coverage. Consumer: On where to buy eclipse glasses and how to make sure they’re certified (so you don’t go blind when you look up). Travel: Including lists of where are the best solar eclipse viewing places and how you can even buy a good seat to see the celestial event of the year. Education: Tips for parents on how to talk to your kids about a solar eclipse. 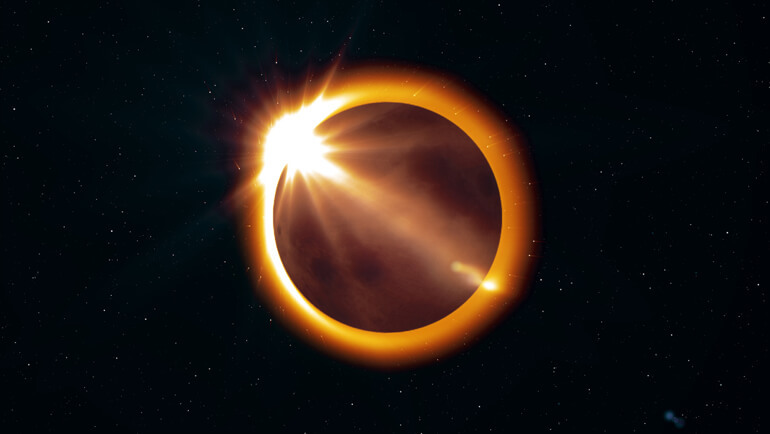 Politics: What solar eclipses have meant for world events in the past. Dating: The effects a solar eclipse can have on your love life. What a list! It turned a science story into interesting content for differing types of publications and found non-science audiences who might not be as excited about an eclipse as we geeks and nerds are. Now, not every story is going to be this multifaceted. But as PR people, we’re constantly challenging ourselves to look for multiple angles on a story to make it resonate with differing audiences in order to reach more people and ratchet up our hit count. To keep things fresh, we view things from new perspectives, we shuffle the people in the narrative, or we seek out new voices with an original take on a subject. A business publication and a lifestyle publication, for example, will never cover the same story in the same way. But they will cover the same story in a unique way that speaks to their specific audience. And they’ll almost surely cover a story that they can leverage over multiple social platforms, especially if you package your story with images, audio, video and even infographics that will pull in readers, viewers and fans. Seeking out multiple angles on a single story is what reporters do all day long. Successful PR people think like reporters and serve up ideas and suggestions that make a one-day event go on as long as possible rather than pass in the blink of an eye.